An LLC headed by David Wanzer bought this property on the NE corner of NW 5th & Lee in January and has recently submitted an application to be placed on the National Register of historic places. They are seeking the National Register designation as a first step towards a complete conversion of this project sometime next year. Wanzer said it will be rental apartments to the general standard seen in the Midtown Renaissance residential projects, which is to say quite nice. The building is actually occupied by month-to-month tenants with an on-site manager, so it is operating and being maintained. Interestingly, there is a lot directly east (between Town House and the modern home Wanzer helped design for Clint Spencer) that could accommodate another building. A broader plan has yet to be completely determined. 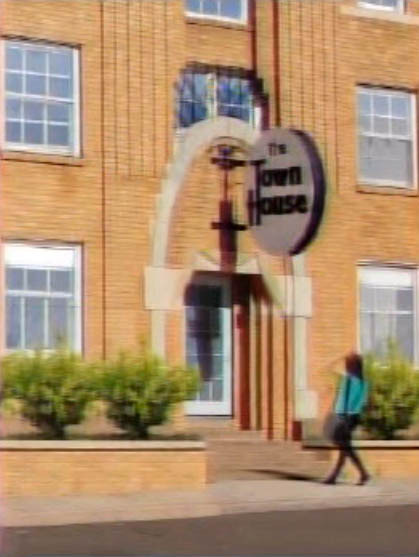 The Town House Hotel was built as a residential hotel, a particular type of multi-family residential construction common in urban areas from the 1920s to the 1940s. In four stories, it originally had 54 single-room residential units, a lobby, an office, a laundry, and a mechanical room. 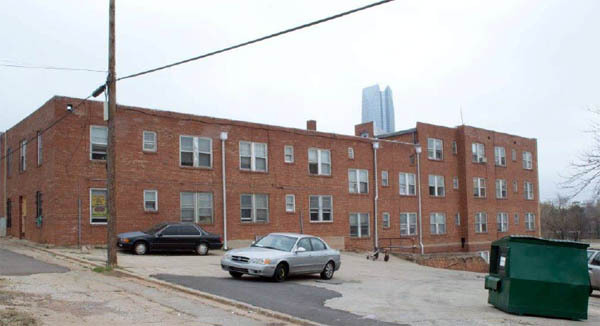 In the 1920s and 1930s, the “midtown” area of Oklahoma City, which had originally been dominated by modest single family homes, became the location of many apartment buildings and residential hotels of different sizes, serving the growing working population of downtown Oklahoma City. The Town House Hotel is one of two large residential hotels constructed in the “midtown” area, the other being the Century Hotel, constructed by the same owner. The Town House Hotel an excellent of example of the multiple dwelling property type, with an eclectic mix of architectural styles including Art Deco and Spanish Colonial Revival. The building retains a high degree of integrity on the exterior and interior with few alterations or modernizations since it was constructed. I've been wanting something to happen with this building for a while. Excited to see it restored. There is a similar building just south of St. Anthonys. I think it's called the Century. Who owns that? Excellent! So glad to see someone purchase this that has a vision to restore it to its deserved glory! Also another one right by the gas station at 6th and Walker? I'd like to see all of those restored. I hope they keep the sign. This is a David Wanzer project so you know it will be super-sharp and respectful to the original architecture. He's a designer by trade and everything he's developed has been fantastic. 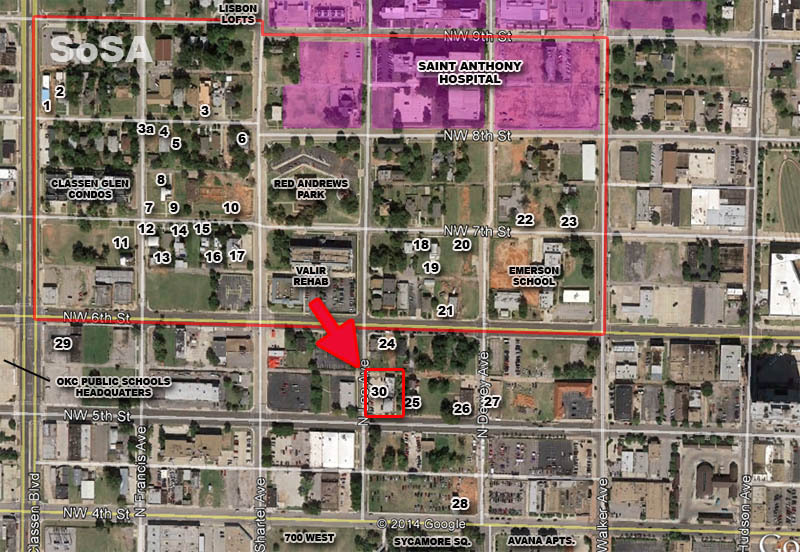 Wanzer also owns a large lot south of here (on 4th). There are 30 current projects in this area and I know a bunch more are in the pipeline. So happy to see this getting some love. I believe this was owned by an out of state firm and used as a half way home of some sort. I could be wrong. Just spoke to David Wanzer about this. They are seeking the National Register designation as a first step towards a complete conversion of this project sometime next year. He said it will be rental apartments to the general standard seen in the Midtown Renaissance residential projects, which means amazingly nice. The building is actually occupied by month-to-month tenants with an on-site manager, so at least it is operating and being maintained. Interestingly, there is a lot directly east (between Town House and the modern home Wanzer helped design for Clint Spencer) that could accommodate another building. A larger plan has not been completely determined. David Wanzer is the man! I am always happy to see architecturally focused individuals blossom into quality developers. I almost feel like David deserves his own thread now/soon. He is almost as active as the SOSA/Cottage district. Pete? I wonder if Steve Mason gave Wanzer a hand with getting some equity under his belt. Either way, I too love seeing architects become developers. Look forward to seeing McDermid get active again. Excited for Rand Elliott's Flatiron developments. Also for those who don't know, Richard McKown was a resident artist in France before becoming a home builder. So being arts-oriented IMO is vital to creating good built environments. You can't just retain people to tell you what you want to hear. Today, City Council approved $350,000 in TIF funds for this project. Renovation starting soon for 17 "market rate" apartments. What exactly about the structure makes it historic? The front facade is classy but I'm not sure about the rest...great location next to the hospital though. Anything over 50 years old has the potential to be considered a historic structure; and even some buildings newer than that might be eligible for such consideration. People sometimes mistakenly assume that "historic" is only possible if a building is some sort of landmark, or if something historic occurred there. In reality, "historic" is usually far more mundane. Besides simply age, a building's historic status can be drawn from a number of things. A structure could be a particularly excellent example of a type of architecture. It could be an important part of the larger fabric of a neighborhood. It could help contextualize an area, and speak to what took place there, how people lived or worked during the history of the area or larger community. And honestly that is what MOST historic buildings do; they provide context and give clues as to how a neighborhood or a city previously existed/functioned. 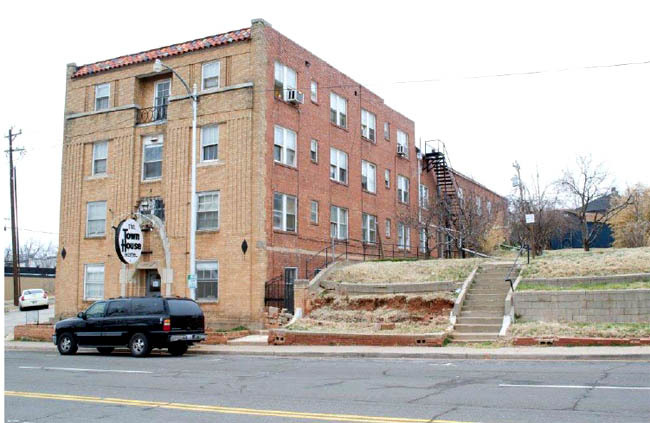 OKLAHOMA CITY – Two run-down buildings in Oklahoma City would never have been recognized for their potential, if not for historic tax credits and tax increment financing, developer David Wanzer said. 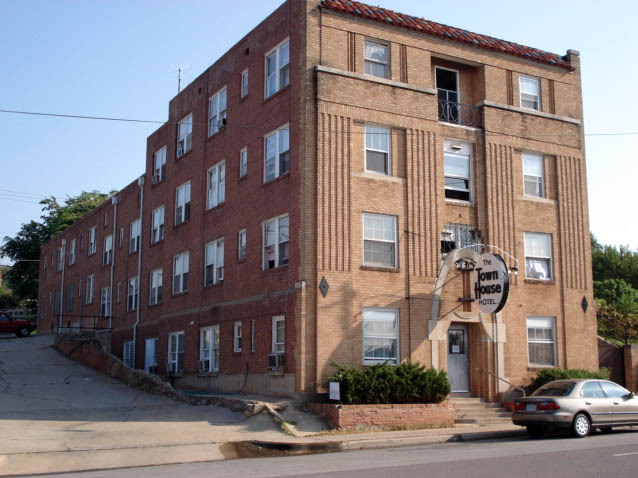 The City Council unanimously approved nearly $1 million in TIF funds Tuesday to refurbish the Townhouse Apartments and convert the Sunshine Cleaners building into mixed-use. Work is slated to begin this summer, with completion in the first three months of 2017. Wanzer said he was first attracted to the old neon sign outside the dry cleaner building at 1012 NW First St. The building lacks a roof now; trees are growing inside it. But its architecture is fascinating, he said, because of weight-bearing wall placement. Wanzer described the site as repeatedly straining city services. He wants to convert the building into 17,000 square feet of leasable mixed-use space to match the purpose of the Downtown/MAPS Tax Increment Finance district, or TIF. In March, the community review committee agreed with his idea and recommended a budget allocation of $550,000. 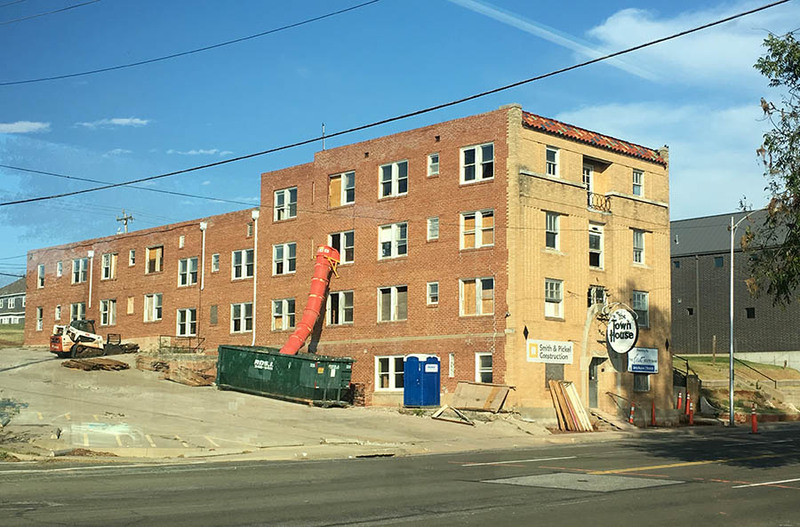 For the townhouse project, 627 NW Fifth St., Wanzer wants to redesign the historic 14,700-square-foot building – “a flophouse,” he called it – into a 17-unit residential development. The review committee also supported the idea and recommended that the council provide $350,000 in TIF assistance. “We would not have tackled either of these projects without the ability to tap into historic tax credits,” he said. Councilman Pete White said lawmakers should note the projects. Wanzer said a fellow businessman once questioned how he was able to spend more money on the project than the building’s market appraisal. That gap is being closed by government aid, he said. Such proposals are turned away on a case-by-case basis, she said. Councilman Ed Shadid asked for recordings of such conversations to confirm the process. And honestly that is what MOST historic buildings do; they provide context and give clues as to how a neighborhood or a city previously existed/functioned. To me that is what is beautiful about these historic structures. That the historic designation is not reserved to one especially important building but that it allows us to preserve areas and provide context and insight into the past. I just love that. Edit: Also, what a treasure David Wanzer is to Oklahoma City. Everything he's been a part of, to my knowledge, has been absolute class. Agree about David. All-around good dude, and talented. We're lucky to have him here. OKLAHOMA CITY – The Oklahoma City Economic Development Trust will consider approving nearly $1 million in tax increment financing for an area developer. David Wanzer has two projects that are set to receive TIF money if the development trust approves the applications. 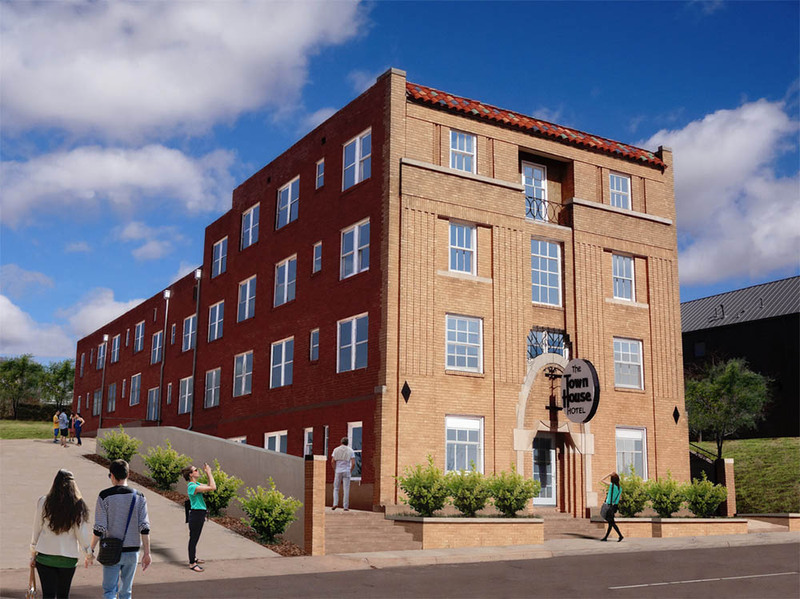 The City Council and the TIF review committee approved $550,000 for the Sunshine Cleaners redevelopment project at 1012 NW First St. and another $350,000 for The Town House, 627 NW Fifth St.
On Tuesday, the economic development trust will review the contract requirements in order for Wanzer to get that money. Oklahoma City Economic Development Manager Brent Bryant said Wanzer’s team will not get the money until the projects are completed to the extent required in the contracts. 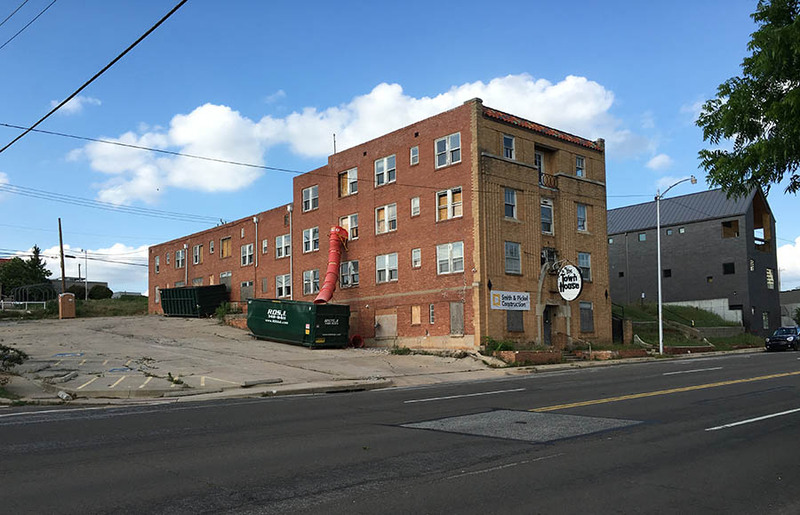 Wanzer and his Pivot Project partners, Ben Sellers and Jonathan Dodson, are redeveloping the Sunshine Cleaners and Laundry building into 17,000 square feet of leasable space, which includes an office area, a restaurant, and a brewery with a public taproom. Wanzer said construction is in full swing at the cleaners building, with concrete being poured on Monday. He said utility work had started, with one nearby traffic lane closed for that process. New glass windows are being installed. City documents state that Wanzer estimates his team will spend $3.6 million on project costs. Once completed, the building will have an increased market value of $2.4 million, and result in an estimated ad valorem tax payment of $41,000 per year. As of 2016, the building has a market value of $132,878, with an assessed-base ad valorem tax of $9,131. Wanzer is tackling The Town House by himself since he bought it before he partnered with The Pivot Project. He said he is finalizing the construction budget with Smith & Pickel. The project will go before the Downtown Design Review Committee this summer and construction will start in September. The building’s interior has been demolished to make way for the 17 apartments that will be constructed. Wanzer will spend $3.5 million on the project. As of 2016, the building has a market value of $1 million and an assessed ad valorem tax of $12,608. Once completed, the city estimates it will have a market value of $3.2 million and ad valorem tax payment of at least $28,000. Starting to work on the windows now. 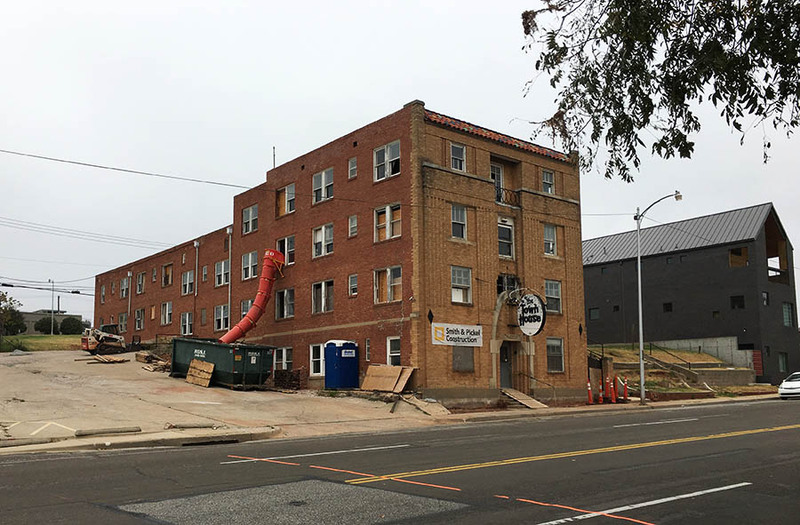 OKLAHOMA CITY – In the last 11 years, the development investment in historic rehabilitation projects has increased by 82 times, far exceeding the pace of other states’ similar programs. That was one of the findings reported in the Oklahoma Incentive Evaluation Commission’s historic tax rebate study. Public Financial Management Inc. prepared the report released Wednesday. Ten other incentive program reports were released as well. PFM praised the state’s 20-percent state historic tax credit program for paralleling the 20-percent federal tax credit program. Both credits can only be used on buildings listed on the National Register of Historic Places. The tax credits are not awarded until the project is completed and the state historic preservation office approves the rehabilitation. The State Historic Preservation Office oversees the program. Melvena Heisch, who works directly with the developers seeking the tax credits, said the report affirms what she sees firsthand. Besides restoring buildings, the tax credit program has created jobs. In 2015, more than 800 jobs were established, according to the report. Lingo Construction Services President Stan Lingo said his company has grown about 20 percent every year for at least the last four years. The company is often hired for historic rehabilitation work. Historic rehabilitation projects tend to require more labor than other construction work, said Peter Noonan, senior vice president and manager at Commerce Bank in St. Louis. The bank frequently purchases the historic tax credits. Noonan said historic rehabilitation project costs are about 60 percent labor, compared to 40 percent labor for a tilt-up construction project. The PFM report said the state tax credit program should continue, but it suggested capping the amount available. “In order to keep administration burdens to a minimum once a cap is in place, the team recommends that projects be accepted on a first‐come, first‐served basis in lieu of a supplementary assessment procedure,” PFM said. There are 11 other states that do not cap their tax credit programs. Thirty states offer some type of historic tax credit program. Lingo did not favor capping the amount available and said he thinks it would limit redevelopment. 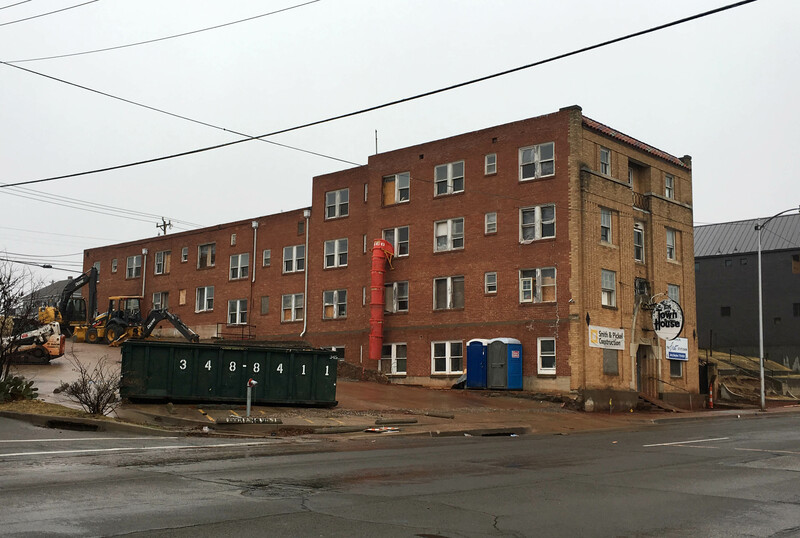 Developer David Wanzer, who is working on The Town House on NW Fifth Street, said he hadn’t reached a conclusion on what he thinks about capping the amount. He said a large project like The Skirvin Hilton Hotel renovation could use all the allotted funds and then other developers couldn’t get the money. Wanzer had some projects in the pipeline this year when the Legislature was considering ending the program. With this Legislature-required study giving approval to the tax credits, he said more legislators will be able to see the statewide effect the program has, and that it is beneficial to Oklahoma. In terms of HTC caps, the Town House Motel project in this thread would still be considered a "small deal" no matter what thresholds Oklahoma could implement. A lot of states cap at $5 million, which in a more lucrative state program (say 20% credits) means a $25 million project could max out eligible credits. Comparatively, most small deals usually benefit from additional incentives bc they're often not big enough to justify the burden of applying for and accounting for tax credits. The goal is usually to produce as many small deals as possible, to use the same number of credits to revitalize as much of Oklahoma as possible. Or to get bigger deals to use less credits, to increase the "leveraging," as long as it's not just debt leverage. That's how these kinds of subsidy programs branch away from the Skirvins and get to touch more projects in neighborhoods like SoSA.